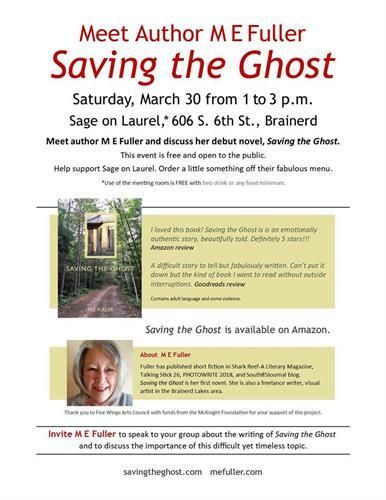 Meet author M E Fuller and discuss her debut novel, Saving the Ghost. Help support Sage on Laurel. Order a little something off their fabulous menu.